Photos for songs were screen-shotted from Bandcamp, iTunes, and Spotify. There is this societal notion that those who are single on Valentine’s will be wasting the night with a facial mask, a pint of ice cream, and a young Ryan Philippe (or any other romantic-comedy leading man of your choice) through a computer screen while wrapped in tear-soaked duvet covers, questioning what it is about them that situates them in this perpetual mode of singleness as opposed to painting the town pink and red like the rest of the world on the fourteenth of February. Few, however, give attention to an alternative breed of single–the singles who are standing in the corner of the room, wearing tiny black hearts on their cheeks, silently criticizing and pitying the mushy-gushy partners that pass them by for their foolishness, vowing never to allow themselves to be that blindly indebted to another, reiterating the infamous Heather Hepler quote about Valentine’s being but “a capitalist scam, designed to make people currently in a relationship spend unnecessary money in a fruitless attempt to ensure undying love and devotion”–a breed I would like to brand as the Anti-Valentine’s! “No, I don’t want your sympathy. 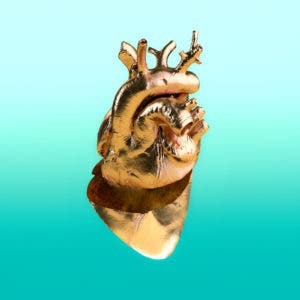 All this love is suffocating. Just let me be sad and lonely. ‘Cause crush culture makes me wanna spill my guts out! This melancholic pop sound with synth experimentations is accompanied by lyrics expressing disgust towards the modern adolescent pining culture that promotes weird inclinations, such as the excessive checking of phones in an expectation of receiving a message from someone considered dear, and tolerates the excessive telling of stories about private make-out sessions that no one really wants to hear about–all which are based on clouds of delusion! 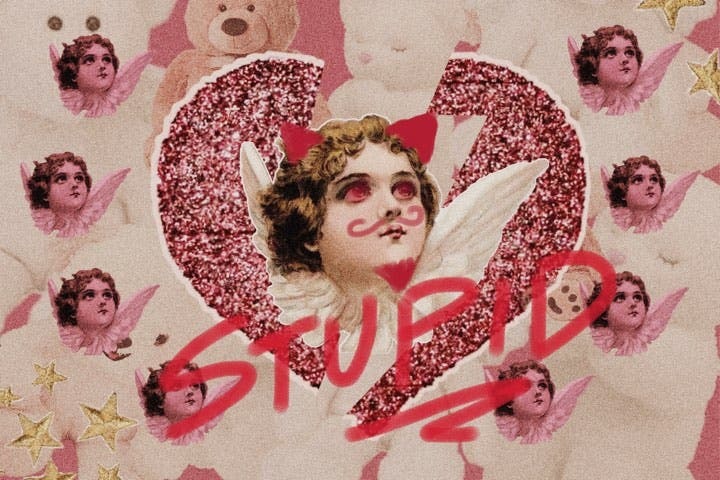 “Stupid Cupid, you’re a real mean guy! I’d like to clip your wings, so you can’t fly. Listening to this song (which you probably heard from Mandy Moore in the Princess Diaries) makes you feel like a twitter-patted teenager in a 1960’s comic strip, wearing a soft pastel swing dress and sensible low heel shoes, moping on the edge of her flowery duvet with a dainty hand strategically posed on the forehead for an added effect of drama, begging Cupid to disentangle her from the snares of infatuation caused by his terrible aim. This song is perfect for those with an irritation attributable to a baby-angel-sent curse in the guise of an innocent crush that they seemingly cannot escape from. “Don’t call me. I’m on my heartbreak diet! Love isn’t good for you; I think I’ll burn it. Underneath this track’s quasi-sweet electropop/quasi-bedroom dream pop’s sound is obscure but weirdly amusing and quotable verbiage about, to name a few, wishing to die in order for the person you are pining over to cry at your funeral and wishing for the person you are pining over to die since he or she has seen too much of your soul. Those who have been in a repetitive cycle of being crushed by the same individual and are thus choosing to take a break from the inevitable suffering that comes with love will surely enjoy this one. You get enough germs to catch pneumonia! After you do, he’ll never phone you! The scene that instantly comes to mind when listening to this song is a woman in a black-and-white golden-age movie musical (by the likes of Top Hat and an American in Paris), tapping her feet through the pouring rain with her only protector being an umbrella, moping about a man who has left her heart in shambles after dedicating his love to her for as long as he lives, only to find out that he will be flying to Italy the next morning as he is to land an acting opportunity. The first few seconds of this lulling jazz/soul track is as deceptive as Sälen’s as it promises you light and leisure, only to be met with the crushing (yet comedically-delivered) realities that come after falling in love. Consider this track as the national anthem for all those who have been made to feel uncomfortable by a person’s heated stare, wiggling eyebrows, and suggestive winks. Great Grandpa’s straightforward and unrepentant disgust translated into words for the targeted receiver of the song is embedded smoothly in this track’s (for the lack of a better term) “bubblegum grunge” sound. This track sounds like something you would find in your cool tito‘s playlist with its alternative rock but simultaneously downbeat melody and lackadaisical-with-a-purpose vocals matched with bitter yet humorous comparisons of love to a bottle of gin (from making you “regret your birth” to costing “a lot more than it’s worth”). Maybe consider writing the Magnetic Fields’ metaphors for love the next time you’re tasked to answer the “What is your definition of love?” section of your friend’s slambook. Everybody’s got flowers on theirs. And it’s hard to concentrate. If Bowling for Soup’s “A Friendly Goodbye” had a younger and less angry brother with a ridiculous-yet-honest lyrics generator and a surf-punk band that was formed in his mother’s basement when he was in high school despite the neighbours complaining about the “noise” during midnight though he argues is actually called the “youth’s new wave of music,” this song would be it. This song is perfect for those who were once in a relationship and were expecting to spend the Valentine’s season with them, only to be learning that they will be spending it devoid of anyone but a past-lover-induced deeply fresh cut, which causes them to be irritable and dysfunctional communitarian-wise. “It tastes like love, but it’s not. It feels so real, but it’s false. Out of all the songs from this list, this one has to be the most bittersweet, ricocheting in between sad and a softer kind of angry. In a span of three minutes, it conveys the disappointment of being there but not quite, of the almost but never enough, of mistakenly being at the pinnacle of finding love, only to realize that it is something far less. “Is there any meaning to love anymore? Does it make sense for me to say I love you? Is it just another word that has been overheard? If The Beatles and a soft sound Julian Casablancas had a love child, it would be this song. This is a song created specially for the self-proclaimed postmodernists that speculate on the metaphysics of desire and question the societally agreed upon definition of love. It’s gonna make you cry. I’ve had the blues, the reds, and the pinks. Would an anti-Valentine’s playlist be complete without this hit from J. Geil Band? If you’re wondering why this song sounds familiar, you’ve probably heard it being covered by Adam Sandler in one of his movies. 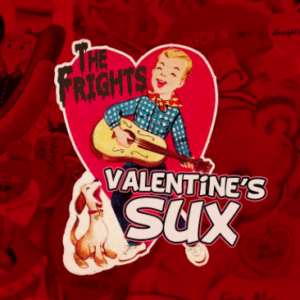 There’s nothing like a track that makes you feel like angsty protagonist, donning red and black flannel, a horror movie graphic tee, purposely ripped and cuffed jeans, and black combat boots from a John Hughes coming-of-age movie to get you into the true spirit of the Anti-Valentine’s. If there’s any track in this playlist that could convince you that love actually does stink, it’s probably this one. Do you know an Anti-Valentine’s song to add to the list? Do you have an Anti-Valentine’s friend in your life? Tag them in the comments section! That’s so Raven…or was that Her? For Real?